Essentially, data resides in the SQL Server database and is exposed as JSON data using the ASP.NET Web API. We then consume the JSON data from the ASP.NET Web API in the AngularJS application. 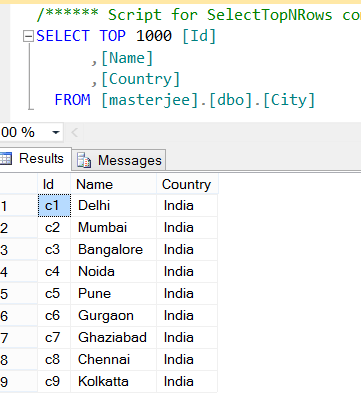 This table is inside the SQL Server, and we’ll connect to SQL Server using the Entity Framework database first approach. 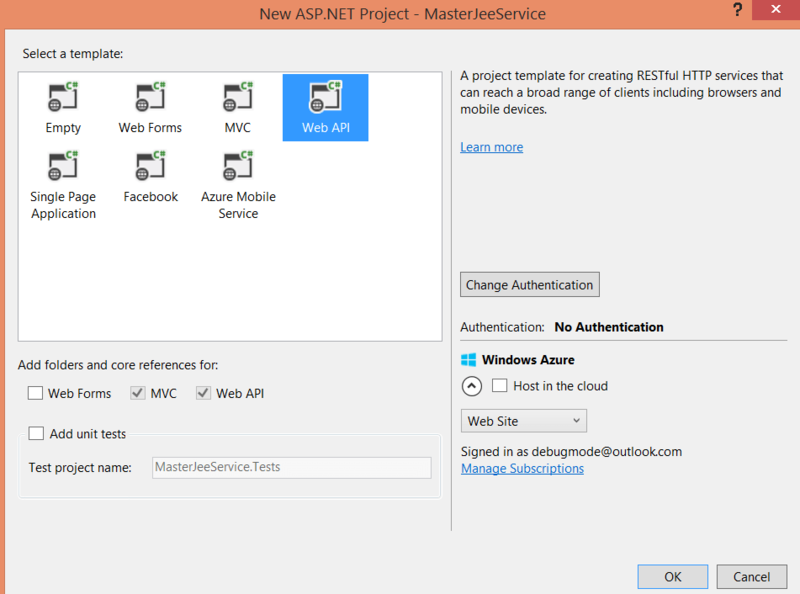 Let us go ahead and create a Web API project in Visual Studio. To do this, select File->New Project-> Web Application>Web API as shown in the image below. On clicking Ok, we can verify in the solution explorer that a web API project has been created. Next, to create the data model we’re going to follow the Entity Framework database first approach. To do this, right click on the Model folder in the project and select Add new item. Pingback: A Step-by-Step Guide to Working with the ASP.NET Web API and AngularJS | Dinesh Ram Kali.